Great pieces to choose from at our January end of the month sale. 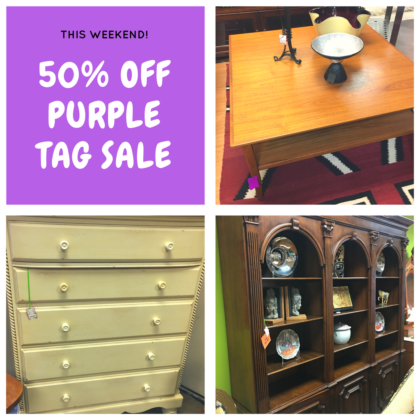 We consign items for 90 days, if at the end of the 90 days a pieces hasn’t sold we put it in our 50% off sale. 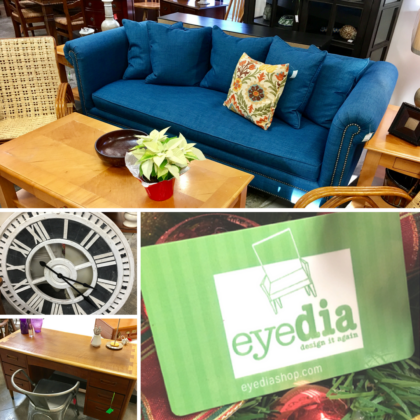 Here are some of the furniture and home decor items on sale starting Friday January 26th, doors open at 11 am. Hard to Buy for People on your list? We gotcha covered! Don’t worry about those “hard to buy for people” on your list. 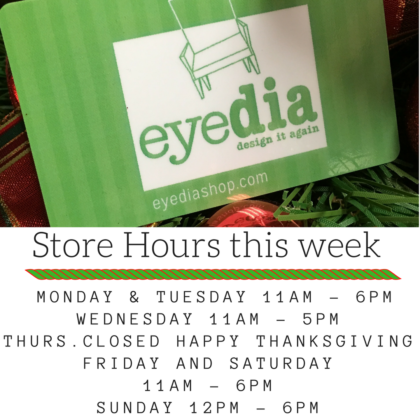 Give them an eyedia gift card and they will thank you! Our inventory is always changing so even if they don’t find what they want right away, they will. They will also love using the card at our 50% Off End of the Month Sale. This week will be a little different with hours because of Thanksgiving. 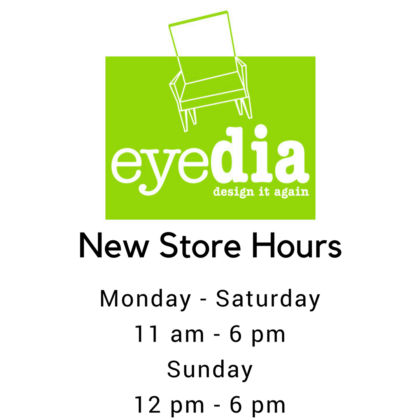 Wanted to make sure you all knew when we would be open! We also hope to see you at our Black Friday Small Business Saturday Weekend Event! 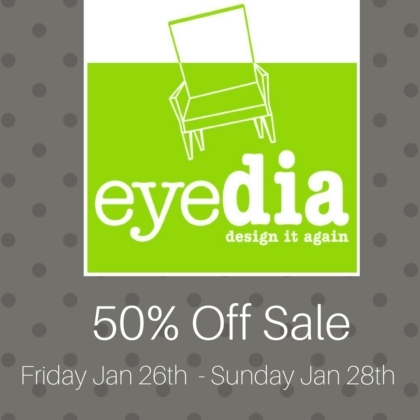 Just another great way to save at eyedia! Seems too early to be thinking about Christmas we know! 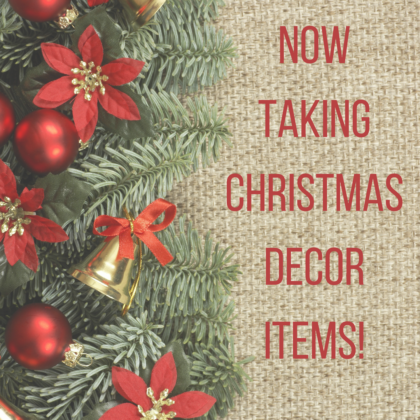 In order for us to have everything priced, tagged and in the store in time, we like an early start on Christmas. So, go through those Christmas boxes and bring us all you can! We are accepting consignments Tuesday – Saturday from 11 am to 4 pm.